← Which Ailments Can a Person Contract From a Bat? Finding a grounded bat is not an everyday occurrence, but it does happen. Bats become grounded for many reasons, whether they are injured from falling out of tree or lost from their mothers. 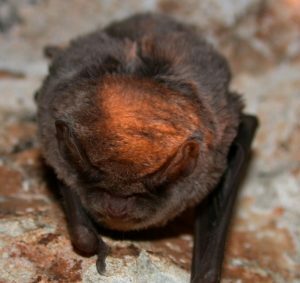 One of the main causes for a grounded bat is illness. It is common for sick bats to isolate themselves from the rest of the colony and find a secluded place to die. For this reason, you should never attempt to touch, tamper, or transport a bat. Continue reading to learn more about stranded bats and what you should do if you ever come across one in nature. As mentioned, one of the most common reasons why a bat is alone on the ground is illness. Rabies and other diseases will trigger a bat’s biological instincts to separate itself from the rest of the group and die alone in a secluded area. When a person comes across a bat on the ground, illness could very well be the reason why. This is especially true if the bat is NOT a baby. Baby bats, known as kits, are often lost when mothers decide to move their nest from one place to another. During the move, baby bats can fall from trees and left behind by their mothers. Other times, baby bats are victims of predator interference, and may have been picked up and dropped by a hawk or owl. Regardless of why a bat is alone on the ground, the primary rule of thumb is to leave it alone. If you have found a lone bat on the ground, your job is to assess the risk it poses to its surroundings. A bat is a safety risk whether it is sick or not; so if you find one that seems stuck or stranded, it is important that the bat is removed as soon as possible. Not only can it potentially harm another person or pet, it can attract other species of wildlife, which can impose additional safety concerns and hazards. If you are in an area that is frequented by the public, such as a park, playground, neighborhood, pond, or your own property, it is important to immediately contact a professional Louisville Bat Removal and Control Company to have the bat safely and humanely relocated. If you are in an area of nature that is not typically frequented by people or pets, such as the forest or woods, it is best to just keep walking and ignore a grounded bat. Although it may not be what your heart instinctively wants to do, it is important to let nature take its course in this case. Important Note: Never attempt to keep a bat (or any stray wild animal) as a pet. Not only is this incredibly inhumane and unfair to the bat, it is against the law in most states. 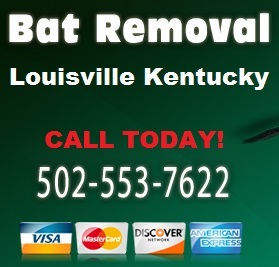 Call 502-553-7622 for Louisville bat removal and control you can trust. We are DNR licensed and insured bat control contractors who use safe, non-lethal methods of extraction and exclusion. We serve both residential and commercial clients, and at the most competitive prices in town. Emergency 24 hour service is also available. Request a free estimate, today. This entry was posted in Bat Removal and tagged baby bat on ground, found a baby bat, found bat on ground, Grounded Bats, Louisville Bat Removal and Control, Louisville Bat Removal company. Bookmark the permalink.